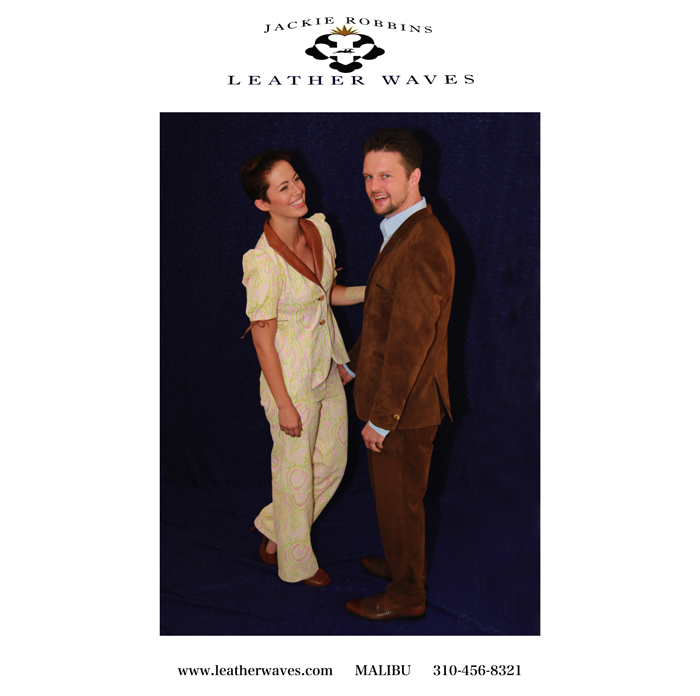 We make custom leather suits for men and women. The women’s suit shown here is made from a paisley print lambskin with high waisted full leg pants and a short sleeve shawl collared neckline, lots of pretty details like small tied bows on sleeves and back of jacket and contrasting buttons. the man’s suit is made from pigskin suede, which is soft yet durable, in a modern skinny silhouette, slim pants and slightly flared sleeve jacket detailed with antique brass metal buttons.